Posted: Friday, September 23, 2016. 1:48 pm CST. Posted: Friday, September 23, 2016. 1:45 p.m. CST. The four week course is designed to strengthen the region’s capacity in fisheries law and fisheries management. It is a partnership of the Caribbean Regional Fisheries Mechanism (CRFM) and the Australian National Centre for Ocean Resources and Security (ANCORS). The training is being held at the University of Wollongong which is ranked among Australia’s top 10 universities. This training is intended to address the conservation and protection of living marine resources and biodiversity; monitoring and surveillance; as well as measures to curb illegal, unregulated and unreported (IUU) fishing. “This is a great training opportunity for CRFM Member States, and we are grateful for the valued contributions which Australia continues to make to help advance fisheries management and development across the CARICOM region. The CRFM appreciates this sustained support,” said Milton Haughton, CRFM Executive Director. Australian awards fellowship were awarded by the Australian Government through the department of foreign affairs to nominees who were selected from 10 CRFM member states. The training will conclude on October 15. 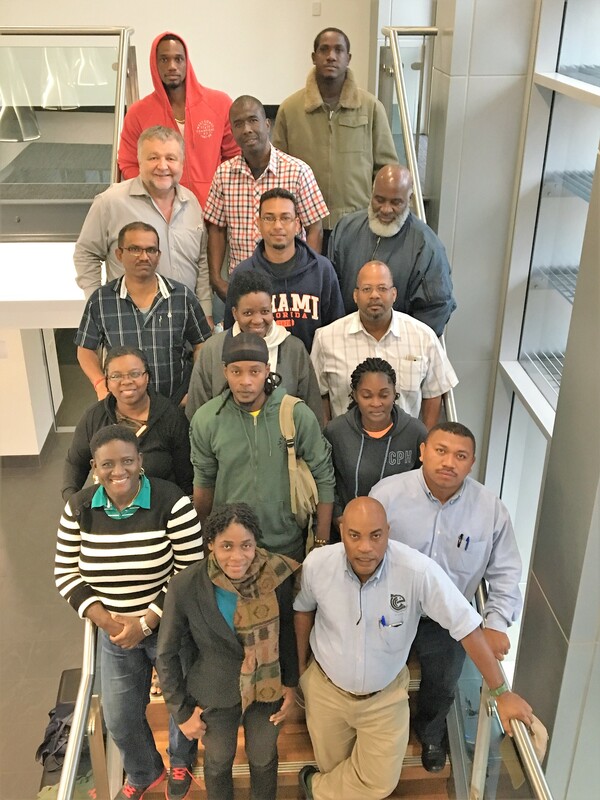 The trainees will partner with relevant stakeholders to help improve frameworks and cooperative agreements at home and across the wider Caribbean, to achieve sustainable fisheries, which would, in turn, mean more dollars for the fishing industry and improved socio-economic conditions in beneficiary states. It is a continuation of two previous training workshops held in Australia in 2012 and 2014 and helps to fulfill a Memorandum of Understanding which the CRFM and ANCORS signed back in 2012.